Great it resolved my issue … thank a lot !!!! Added this AutoDateTime and it displays the date and time correctly. However, will not allow for the automatic advancement of slides after 15 seconds. This feature seems to stop it. 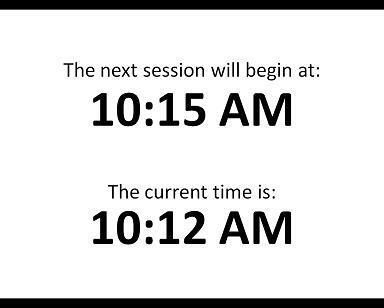 When I take off the AutoDateTime from the powerpoint, the powerpoint will advance automatically. Please advise on how to use this feature and have the powerpoint advance (using time/date feature) automatically. i get ‘service unavailable’ when i try to follow your link. okay, found a way to d/l it, but you cant use this with slides that auto advance (not that i can make work anyway). any ideas? Actually there is an easier way, that you can use to display time without installing an add-in (for 20$) an it is for FREE.